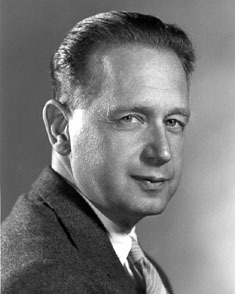 ‘Markings’ is Dag Hammarskjold’s private journal. It was found in his New York apartment on a bedside table. This journal was written in Swedish and the title on the front page was ‘Vagmarken’, which translated into English means ‘Trail Marks’. In one of his journal entries, Hammarskjold provides an interpretation of the origin and intention of his writing. He said: ‘These notes? – They were signposts you begin to set up after you had reached a point where you needed them, a fixed point that was on no account to be lost sight of’. Dusen explains, “The figure is from Hammarskjold’s experience in climbing…They were recorded to provide guidance for the author should he pass that way again.”(1) Hammarskjold also described his journal as “a sort of white book concerning my negotiations with myself – and with God.”(2) When publishing the English translation of this journal, the title ‘Trail Marks’ was modified to ‘Markings’. Markings was published in 1963, first in Swedish and a year later in English. Dag Hammarskjold came from one of the oldest and well-known families in Sweden who for more than three centuries provided the nation with civil servants and soldiers, many of whom attained high rank. Dag’s father, Hjalmar Hammarskjold, was the Prime Minister of Sweden, through the tense war years, from 1914 to 1917. The Hammarskjold family lived for more than a quarter of a century in a massive Castle in the city of Uppsala. Dag lived with his parents in this castle from the age of two through his student days at Uppsala University. In the fall of 1930, when his father retired, he moved with his parents to an apartment in Stockholm. For young Dag the massive ancient castle of the Vasas was a wonderful playroom where mysterious passages ran between massive walls; in the towers were circular banquet-rooms and, at other places there were dark dungeons. Dag often led his young friends on thrilling explorations into the winding passages of the fortress. But it was the grounds and the gardens of the castle that became young Dag’s botanical-zoological workshop. “Beginning to learn the Latin names of plants by the age of six, as one of his brothers admiringly reported, he became a clear-eyed explorer of all things that grew or padded, hopped or crawled within sight of the castle.” (1). Often Dag spent his time collecting animals from ditches and making cages for larvae & feeding them greenery. Because of this habit of taking care of larvae, his mother, Agnes, fondly started calling him “my little larva”. When the Civil War broke out in the April of 1861, Walt Whitman was staying in New York and Brooklyn, writing some extended newspaper pieces about the history of Brooklyn for the Brooklyn Daily Standard. He began visiting wounded soldiers, who were moved to New York hospitals. Later he went to Washington, D.C., where he spent countless long nights in the poorly ventilated wards nursing thousands of injured soldiers, both Union and Confederate, in the makeshift hospitals. Based on his experience of a real battle that Walt Whitman wrote his powerful Civil War poems. Following is one of those Civil war poems that he wrote when he was at one of the army camps. Swami Turiyananda was one of the sixteen direct sannyasin disciples of Sri Ramakrishna. His pre-monastic name was Harinath and people usually called him Hari. He was about eighteen years old when he came to visit Sri Ramakrishna at Dakshineswar. 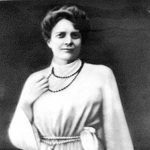 When Sri Ramakrishna saw him for the first time, the Great Master immediately recognized the spiritual potential of Harinath and from then on took personal interest in his spiritual development. Hari’s spiritual training under Sri Ramakrishna lasted for six years till the Master passed away. 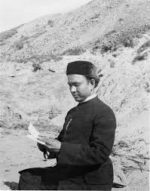 After the passing away of Sri Ramakrishna, under the leadership of Swami Vivekananda, Hari and a small group of young men who were also closely associated with the Master renounced the world and became monks. Hari became Swami Turiyananda. It is said, of all the disciples of Sri Ramakrishna, just like St. Francis of Assisi, even from his boyhood Turiyananda treated his body with great indifference. 1)	Swami Turiyananda Life and Teachings, Swami Ritajananda, Pg. 5, Sri Ramakrishna Math, 1963. 2)	Swami Turiyananda Life and Teachings, Swami Ritajananda, Pg. 47, Sri Ramakrishna Math, 1963. 3)	With the Swamis in America & India, Sw. Atulananda, Pg. 51, Advaita Ashrama, 1988. 4)	With the Swamis in America & India, Sw. Atulananda, Pg. 38, Advaita Ashrama, 1988. 5)	Swami Turiyananda Life and Teachings, Swami Ritajananda, Pg. 7, Sri Ramakrishna Math, 1963. 6)	God lived with them, Sw. Chetananda, Pg. 368, Vedanta Society USA, 1997. 7)	Swami Turiyananda Life and Teachings, Swami Ritajananda, Pg. 39, Sri Ramakrishna Math, 1963. 8)	Everest Aspiration, Sri Chinmoy, Pg. 38, Aum Publication, 1987. After Sri Aurobindo moved to Pondicherry, he entered upon an intense period of practicing Yoga. He communicated only with a few of his students who looked after his physical needs and he generally did not receive any visitors except on very rare occasions. But almost every day he would sit with a few of his students, in an informal gathering, sometime late in the afternoon or evening. At these meetings the students would ask him questions and he would answer them. They asked him questions from a wide range of topics that included spirituality, politics, World War II, art, poetry, culture, history and medicine. 1) Sri Aurobindo the poet, Pg. 29 K. D. Sethna, Sri Aurobindo International Centre of Education, 1970. 2) Sri Aurobindo the poet, Pg. 39 K. D. Sethna, Sri Aurobindo International Centre of Education, 1970.